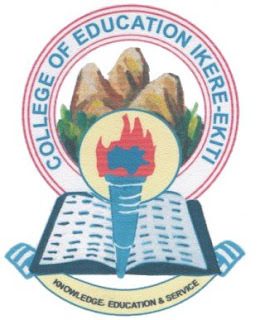 College Of Education Ikere-Ekiti, Ekiti State, [COEIKERE] National Certificate Examination [NCE] and Degree Post-UTME Admission Form, Eligibility, Admission Requirements, Application Guidelines, Screening Dates, Time and Venues for 2018/2019 Academic Session. This is to inform the general public that the sale of forms for admission into the NCE programme of the College has commenced for the 2018/2019 academic session. Available Degree & NCE Courses. In accordance with the minimum standard of NCCE, candidates must have at least four credit passes at one or two sittings in the WASSCE/NECO/ NABTEB/SSCE/ GCE O level or merit in teacher grade two certificate or their equivalent. Two of the credit passes must be in the areas of specialization. Candidates that posses a pass in English and Mathematics is qualified to be admitted into the College NCE Programme. However, credit in English or Mathematics may be required for some courses to meet departmental requirements.